Over the weekend, I did a final import of the phonebook and voicemails. Of the 1848 VM files, 7 were uploaded corrupt and couldn't be converted (or even listen to). Since it was a small number, we'll email those people to get us new files. 3 people have incomplete information. It looks like they started, but never finished. They will also get an email. 27 backers went to the webpage, but never entered information. Over the course of the past 6 months, we've sent out a lot of reminders, so they will not be included. We have not done a vetting of all the VM to see if any are obscene or violate the rules. Of the few hundred I've listen to so far, they all are fine. I'm optimistic that very very few (if any) will be culled. There is a drastic range of recording quality (as you'd expect on a real VM), so some of them might be hard to understand. They were all normalized to try and get a consistent volume. I'm sure we could spend a lot more time processing the recordings, but we also have a game to make. Thanks to all the Kickstarter backers who submitting voicemail messages. There is an achievement for listening to all 1848 of them. Have fun with that. Is the achievement titled "NSA bootcamp passed?" An achievement??? Just please tell you are joking... otherwise it's the most amazing thing ever. On same topic... what's your opinion on achievements for games? Personally, I don't like them or pay any attention to them, but a lot of people love them and it would be foolish to not have them in a game today. Since the achievements are tracked internally and then get uploaded to the particular online store, it would be practicable to NOT transmit them to Steam/Xbox etc. until the player has allowed this within the options menu, wouldn't it? As long as the player has not allowed it, achievements could anyway get journalized internally for a potential later transmission, so that no achievement would be lost. By handling it this way, you would let the player decide himself whether or when any achievements shall be uploaded and when the annoying pop-ups shall be displayed. Okay, I admit that suppressing achievements completely may be an exaggeration. I simply trust your gut feeling. I know may be a little awkward of a question - or even request - but am I going to be able to play through the game without ever seeing any achievement notifications pop-up? Just imagine you finally get green tentacle the record contract, and then there it says: "Achievement unlocked: green rocks!". I'd already be distracted from enjoying my own success. I hope we can dial a few of our favorite characters from Maniac mansion and Zak. Perhaps talk to Guybrush as he tries to call the help line from MI2? Ron has mentioned on this blog several times that ALL of the LucasArts characters now belong to Disney and none of them can appear in this game. No direct references. Allusions might be okay. But Guybrush actually phoning it would be a huge breach of copyright. So don't count on it, unless there is a HUGE Thimbleweed Park fan that is in an extremely high executive position at Disney. But if that were case, we'd have heard about it from now. I spot a C=128D in the background! The computer on which I first completed Zak McKracken! If every voicemail is 14 seconds long, it would take 7 hours, 11 minutes and 12 seconds to listen to all of them. No. Doing that would take a lot of time away from getting the game done. The processed audio is no less legible than the source, so in those cases, people didn't upload very good audio in the first place. Will you keep the stereo submissions as stereo after post-processing? No, everything got processed to mono. Phones aren't stereo. Will you keep the gray-scale submissions as gray-scale after post-processing? Ron, can you add a special voicemail message containing ALL voicemail messages, including the entire special voicemail message? Hey, Ron, can you plant a Robo-Dialer in the game somewhere to make listening to all 1,848 easier? Or make it so that you can call all of the numbers from the Radio Station, trying to "select a winner" for an on-air contest? That is the most depressing thing I've read in a while. :( And I do read the news a lot. I know it can be sad but that's life. Ugh, I'm one of those who try to get all the achievements. "There is an achievement for listening to all 1848 of them." If you include this achievement, it might be useful to know which voicemails you've heard already. Else it will be a maddening task! What a fantastic opportunity you've given us all to feel even MORE like a community! Unfortunately it turned out that is was violating several rules and as I really didn't want to listen to my own voice in the game I never made a new one. I'm curios about the voice messages the backers came up with, I will definitely call some. Another voice related question: Do you have any plans to synchronize the lip movement with the voices of the characters? I really think it would add a lot to the experience. He wrote that it would be a matter of how much time they have. Ron, if I may help, I can check the italian VMs for bad words or anything else violating the rules. It's a subset, but better than nothing. I love to hear some step noise, pulse repeater, 2600 bursts, crosstalk, vintage busy, reorder, ring back, SIT etc.. And if you call to Germany in the 80's, there was no system 5 over here. You most likely would hear some Siemens motor switches instead (like those on the Florida recordings on that archive). "They were all equalized to try and get a consistent volume." What he said was not wrong, however. Normalization just means uniform equalization (i.e., the same across all frequencies). No one uses the term equalized to mean an overall volume adjustment, if you say you equalized something it means you've altered the frequencies of the original sound in some way, not just turned the overall volume up. I used the wrong word. Relax. I always used equalize to mean the same thing that Ron here meant. Don't be mean, man. Correcting something is not mean... it is far meaner to let someone get something wrong and not tell them about it. Depends why you are doing it. Are you doing it to clarify an important fact, if gone uncorrected would cause confusing, or are you doing it to show your knowledge (i.e. know-it-all). Correcting people on little incorrect facts when everyone understood what they were saying can be annoying. Reasons for doing it: it's good if things are correct instead of wrong and why let someone get something wrong if it only takes a second to correct? It's like if someone has food stuck in their teeth, better to let them know, it's not a big deal, just point it out. Although what you did was more like correcting someone who said they had "something" stuck in their teeth by saying "You don't just have *something*, you have *food*." What I was saying is that normalization is a special case of equalization so what he said was correct, albeit misleading. The majority of telephone network sure was analogue back then. There was no such thing as 8 bit or 64kbps. The game resources should be at the frequency which is native to the game engine to avoid unnecessary resampling. Of cause, the samples should be processed with a bandpass filter. Only frequencies between 300 Hz and 3500 Hz should be there. Those were filtered quite steep in order to modulate multiple carriers per lead and demodulate them at the distant office, similar to AM broadcasting. You could occasionally hear high frequency hiss on long distance calls, since the filters weren't perfect. Due to the narrow band usage, those samples would compress quite a lot better then hi-fi samples nevertheless, hence it can probably be encoded the same way, any other sample in the game are encoded as well. Wait a minute, I'M meant to be Mr. Persnickety Sound Guy, I even got a "relax" direct from Ron! That's my whole shtick, you're putting me out of business here! I am compressioning and freq filtering to get it to sound like a 80s phone call, but they are stored as .ogg files within the game for storage reasons. I'm pretty sure that Ron already uses a narrow band filter. I think, in addition to the compression to 166M, it's all we probably expect. But, it would be nice if the beeps (if any) are not louder than the speech. Unfortunately, everyone has his/her own sense of hearing. I will not be playing this game for the achievements. Just to let you know. Hopefully someone else is dedicated enough. I was wondering are you tempted or planning to retrieve statistical data on players? Either by providing a final code that people send in via anonymous post card or some direct uplink to the TWP-Masterbrain-Mainframe that obviously exists? Or something inbetween? I love feedback on minutes of playtime or number of room-changes or items as long as it is somewhat voluntary. The game is littered with analytics right now, that that's only for testing. It's too invasive to ship with the game. We haven't made a final decision about shipping the game with anonymous high level analytics or not. I'd like to, as that information is very useful. It's a time issue. I -personally- dislike data analytics. Not because of the privacy (well, not only because of that), but I think analytical data is not suited well for games at all. Think about this: If you have an analysis on how long a player needed to solve a certain puzzle you still don't know if the player had fun trying out the different things he/she had in mind or was frustrated while trying to crack it. It might be useful on crashes - but other than that: What's the point? 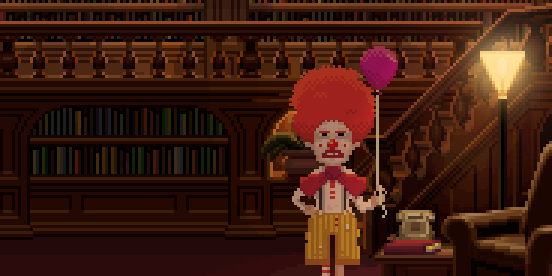 Is there a Thimbleweed Park 2.0 with all the glorious number-based improvements from the data collection? Is any of that "knowledge" really that transferrable to a nother game that it justifies the time spent for analyzing the data? One of my favourite examples on why blind belief in numbers is a bad thing: Microsoft uses meta data collection on a grand scale to "optimize" their operating system and especially the user interface. Their numbers told them to get rid of the start menu in Windows 8 (besides a lot of other dubious improvements). It's something the tooted around and were VERY proud of. And we all know how well that turned out. Bottom line: Either you are a good game designer or you are not. Numbers aren't funny. Numbers aren't emotional. Numbers aren't memorable. I'm going to respectfully disagree with you. Analytics are gold. I wish we had them during MI. You can't blindly follow the data, but they are an indispensable piece of the puzzle. True, I can't tell if someone is having fun, but if 80% of players all stop at the same place while never solving this one key puzzle, that gives me a lot of information. The information is useful in two ways: 1) For future games, just understanding play patterns is good. 2) If we find a unfair and hard spot in the game, we can fix it and patch. For our own project we got feedback in form of a code people emailed to us (yeah, two-digit-feedback ;-). Can you reveal what project you're referring to? I'm not in the games industry, but this concept of measuring some statistics, and asking people to send back small counters that help provide feedback seems quite good for most software development. I think he is referring to "Caren and the Tangled Tentacles"
...heeey, why did you stop playing Maniac Mansion 7 months ago? Gestehe! Isn't collecting data of how people play - or even don't play cuz they're hanging somewhere - just a kind of beta testing at the user's side? Actually I understand your point of how worthy such meta data can be /might be. But I see this data worth mainly from a research point of view. So if a product is well tested you actually must not need this data. Right? I understand your opinion. Statistical data would probably be more reliable than thousands of individual comments on the game, provided that you are able to interpret them correctly. Nevertheless, as we can see at the Steam Global Gameplay Stats for MI2, most people who finished act 1 completed the whole game. I assume that, if all of them were stuck due to a particular puzzle, most of them would look in the internet for a walkthrough after a while, so that they would be able to continue (and finish) the game. In order to avoid players to blame the game for a too difficult puzzle, you should simply check out whether all puzzles are logical enough, so that players would have to blame themselves. By the way, modifications are not necessarily advantageous (see the classic Star Wars Trilogy). At least, I would say that any changes should be as inconspicuous as possible. Achievement are used as analytics, that how you're getting those stats, although a true analytics system would give better quality results. That's all I'm talking about. There are some "optional" paths through the game that don't trigger achievements, and I'd like to know how many players take those. It's very high level. I would like to know how much time players spent with each character. I'd like to know the time between play sessions. Did players complete the game in a few closely spaced sessions, or did players go away for weeks and come back. How long did it take players to complete the game? Players personal recollections are often suspect. This is all very useful information. Maybe not for this game, but certainly for my next game. Why wouldn't you want this information? I don't know a game designer working today that doesn't want and collect this type of information. It's fascinating and we talk about it all the time. Data collected on someone else's game is useful to me if it calls out play patterns, even if it's not an adventure game. Just don't forget to make it opt-in (some people don't like software which phones home). Maybe you could also ask for additional and optional personal information (e.g. number of kids explains those many weeks of gaming absence between sessions :-). I hate to be the bearer of bad news, but almost every game you play is doing this. Doing opt-in analytics is pointless, your results will be too skewed to be useful. I'm not saying we will do analytics, I honestly don't know if we have the to implement it. We'll probably just have to rely on achievements to track usage. Do achievements bother you? You can't opt-out of achievements and they are tracking you as well and worse, they aren't anonymous like analytics are. I buy most of my games on GOG (or similar places) because I despise DRM (and I don't see it as my job [anymore] to fix games which are broken by definition). And since I don't use GOG Galaxy I actually don't have achievements most of the time unless a game also implements them "offline", e.g. like Shovel Knight does (they call it Feats). I use Steam very seldom although I do have quite a lot of games there too (Steam keys are often included with DRM-free purchases like Kickstarter or Humble Bundle). My last real purchases on Steam which I can remember were The Cave and Costume Quest 2 (for both I had no hope for proper DRM-free versions, but I wanted to play them anyway). Just don't implement analytics in a way they are required or blocking the game/UI when there is no network. I also don't like the need for an existing connection to the internet. There have already been several situations in which I played an adventure game without being on line - e.g. being on vacation or going by train. To be off line sometimes even increases your quality of life, since you feel unbound, because you don't check your mail account or any social network over a certain period. ... but I admit that the situations of being off line have become seldom. Nowadays, you even have access on almost every camping site. "Why wouldn't you want this information?" They destroy the (next) game. Let me explain that: Games are art, they are made in a creative process. The best games I have ever played were made by small teams, which developed that game as they like - and not the players oder companies. They haven't used any analytics. If you begin to develop a game based on analytics, you make the game "easier". You cut allegedly difficult parts. You "soften" the whole game. At the end you make a mass product. You make another "grand war of battlefield auto". Why shouldn't have a game a difficult puzzle? Why the game shouldn't have some puzzles that only some players will see? Data analytics are like smoking: If you begin with it, you can't stop anymore. You want more and more. And at least the results destroy the (next) game. Don't do that. Be creative. Don't smoke data. And one last thing: We are not the kids with unlimited time anymore. We don't search about alternative paths through a game. And if we get stuck in an adventure we are using a solution. So your analytics are lying. I like your comparison with smoking. You can easily overrate statistical informations and get on the wrong track. From the developer's point of view, MM and Zak were not only adventures but also ventures, because they were in uncharted waters back then. Albeit, they have become quite popular. Well, I wouldn't demonize analytics, but, when you collect informations, you have to take care in drawing the correct conclusions. If the statistics tell you how popular a playable character is (as Ron mentioned), it's much easier to reasonably decide on the cast of playable characters for a sequel. In DOTT, for instance, some players might have missed their favorite character from MM. Being stuck over a too long period can be very frustrating, because you wouldn't like to have to look for a walkthrough in order to make progress. You rather would like to cope with it yourself, so that you can give yourself an honest pat on the back when you've finished the game. Nevertheless, when you play an adventure game (or a puzzle game in general), you usually expect it to be not too easy. Personally, if I only need one or two afternoons in order to finish an adventure game I never played before, I would probably find it to be a bit too easy and I would be disappointed. By the way, the monkey wrench puzzle has definitely not been the reason why I like Monkey Island 2. In my opinion, it wouldn't have needed any analytics in order to recognize that the monkey wrench puzzle was too far-fetched. On the other hand, I like MI2, despite the monkey wrench puzzle! So, statistics can't tell you everything. Your intuition and your gut feeling are not less important than analytics. You're confusing analytics with focus testing. I don't let analytics drive creative decisions, nobody I know who is any good at what they do, does. Analytics are information about play patterns. Games are art, but they are interactive art. It helps the artist to know how people are using their art. It's why we do play testing. Are you saying we shouldn't do that, because listening to play testers is destroying our art? Analytics are just wide spread play testing. Everyone is already using Analytics. There is nothing new here, it's be going on for years. "If the statistics tell you how popular a playable character is (as Ron mentioned), it's much easier to reasonably decide on the cast of playable characters for a sequel." I would never use analytics for this. This is what bad marketing departments do. One plus One? Really, board? Anyway, I'd love to know ... could you actually basically watch someone play the game, with those analytics? They sound like *everything* is being watched, and in my head this is starting to look like you're basically recording it all, like you could in MI with shift+10 if I remember correctly. Really not a fan of these analytics, for a reason that is difficult to explain, and may be a little nonsensical. 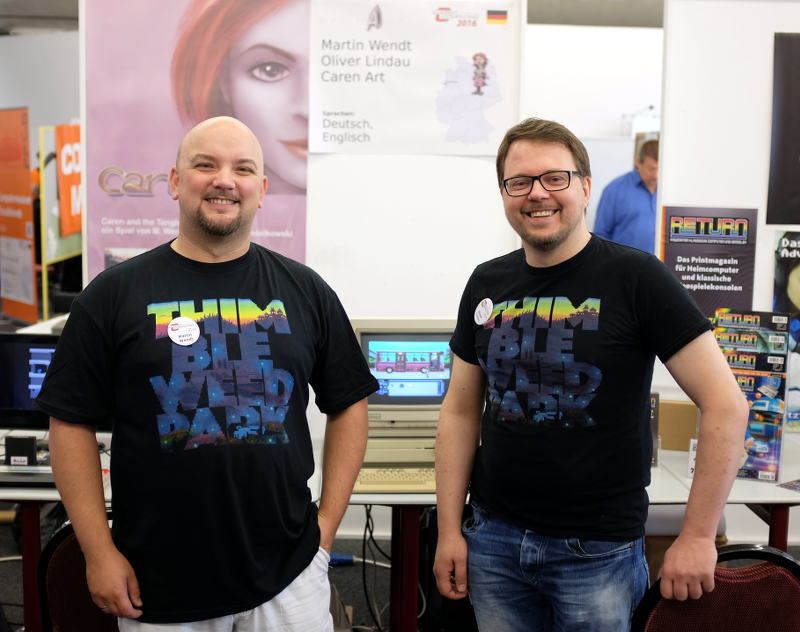 I enjoyed playing games like Zak, Maniac Mansion and so forth, -- it was like a little, living, breathing world completely *disconnected* from the outside world. I found that very, very fascinating on a technical level. It's still basically just like that -- a self contained world - with rules and characters and a story, and all. You see? I told you I wouldn't make much sense trying to explain it. When this is constantly connected in some way, shape or form, I also just feel watched somehow. This is basically why most (all) programs don't even get to go online here. Except the activation of course. Did I mention I'd love a DRM free GOG version of any game? If not for backup purposes, then for "non-reasons" like this? That being said. All is well. I'm ready to rock the analytics and even stay online. No, you can't watch people play the game, there is too much data to process and store. It's just anonymized aggregate information. Analytics would tell me, on average, players play with Ray for 37% of the game and Reyes for 28%, etc. That X% of the players got to Part 4. 89% got captured by Nurse Edna. No one is collecting Specks of Dust. Everyone is collecting Specks of Dust. Stuff like that. A lot of games don't both with Analytics, but put achievements in just for that reason. Given the amount of time left, I doubt we'll be able to do much more than that. I find this discussion of Analytics fascinating. It's so common in games and game designers love this stuff and live by it, but it feels like it's something that is new to the blog readers. There seems to be this belief that they hurt creativity. Nothing could be farther from the truth. No one good makes decisions based on analytics numbers. I would love to know what the popular Maniac Mansion characters are. I can guess, but that data only comes from vocal people on the internet. I'd love to really know. What if I found out Wendy was the second most popular character when playing Mansion Mansion. That would surprise me, but it's useful to know, not that I'd run out and give her her own game or something silly like that, but it's just interesting and might make me create a future character a little different. Creativity needs a lot of inputs and knowing how people play your game is one of them. "No one good makes decisions based on analytics numbers. I would love to know what the popular Maniac Mansion characters are. I can guess, but that data only comes from vocal people on the internet. I'd love to really know. What if I found out Wendy was the second most popular character when playing Mansion Mansion"
And thus Edmund Mansion mansion was born! Hmm... Maybe I didn't make myself clear. Yes, I remember that tweet. That was the first, genuine one. I find it lovely that he repeats sometimes that typo on purpose. You invented a diabolical puzzle, but you discover looking at your analytics, that most player solve it in 5 minutes. Is it because they are clever, beacause your puzzle is far less diabolical than you thought, or because they look up the net? That's why we install deep worms on everyone's machine so we can see if you use a walk-through. We also turn on everyone's webcams so we can watch them play the game. We also install spyware that monitors if you're getting hints from your friends. But what should we do with those who cover their cameras with tape? And I have to disagree with you. I think every minute you spent with data analytics is wasted and would be better spent in improving the game itself. "Results" from data analytics are not transferrable to other games because play patterns are contextual for the specific game. It *might* work for very similar games like FIFA 2015, FIFA 2016. But certainly not if the new game is a different creative endeavour. What you mentioned (80% of players stop playing at the same spot) is not a problem that should be solved after the game was released but in play testing. Also, in reality, nobody would get stuck today on a puzzle for too long before he/she looks the solution up. Some people might Alt+Tab out of the game for this. A lot would probably just use their smartphone - which is invisible for your data collection. But even if you think you can get useful information out of the collected data. You still have to interpret the results. And that is HIGHLY subjective. In other words: You see what you already think you see. Going back and fixing part of the game play because of analytics is something I have never seen anywhere ever. These methods are only used in highly dubious games with micro transactions to streamline the game, place pain points and optimize willingness to pay. In other words: These tools are used by assholes. The only reason game designers of REAL games go back to previous work to change it is because of massive fan outcry. And when they do there is normally an almost as big outcry from the people who do not want the game to be changed. You say yourself you wish you had analytics for the development of Monky Island. But why? They are the most highly regarded adventure games of all times. What could you have POSSIBLY improved with analytics in those games? The monkey wrench puzzle? Let's assume you HAD the analytics tools at that time and the players HAD internet connection: By the time you analyzed the data and came to the conclusion that a lot of non-english players had problems with that certain puzzle the knowledge on how to solve it would already have spread amoung player (remmber: in this scenario there is "an" internet - and therefore also forums and help sites). So you would be fixing something that is somewhat broken but that the players already have adapted too. The only reasonable argument for data collection in games is if you are planning a series of games (like the afore mentioned FIFA games) or collection technical data for crash analysis. You have posted yourself in some of the others replies that you wouldn't use it for creative decisions - good! But what for then? Technical assistance - Okay. But what else is there? Play patterns? And what would you do with analytics about play patterns? As you have admitted yourself - you can't possibly know from the data if the player had fun or not. Changing the "patterns" because of statistical data is just as good as guessing because you cannot predict if more or less people will like the "improved play patterns" in the next game. Even on the business side of software where I earn my money we cannot trust data analysis. One example: We ran an analysis over all customer installations to see which of the advanced features customers used how frequently and used this data to hide less used features (we made them accessibly over a "Add feature" button). BUT: The data cannot show us if the customer didn't use the feature because he/she didn't need it or because he/she didn't find it in the first place or didn't know about the feature. So maybe we are now hiding some things that our customers want but couldn't find well enough in the first place. And now we are just making things wore because we are burrying it even deeper. I only know of negative examples when it comes to data-driven design. Besides the example with the start menu, here is a different one: Microsoft once decided to hide the less used menu items in it's office products (I think it started around Office 97) and would only show them once you hovered your mouse on a "down" arrow on the bottom of the menu. A LOT of people that we had contact with in customer support at that time were completely irritated because the function they wanted to use wasn't there anymore. Yes, the didn't use it very often. But that made it only worse! Because they didn't use it often they were already unsure of how to find it. And then Microsoft burried it even deeper. Well, then we will disagree. You cannot rely on what gamers say (forums, help sites etc.) because gamers, and customers in general, don't know what they want. I'm pretty sure that the analytics, which are currently in the test builds, are useful. For instance, you can count the usage of the verbs on the interface in order to decide which verbs shall be in the upper row of the verbs interface - or which verbs shall be in the right column, nearby the inventory. I won't go into the pros and cons of analytics (just as with pretty much anything, both sides exist and the public tends to ignore one or the other) but I'll mention that I doubt the removal of the start button and menu had anything to do with analytics. They were part of the attempt to have a uniform UI across touchscreens and regular input devices. I also think that people went crazy because they generally resist change, regardless of whether it's good or bad (this blog is living proof). "I also think that people went crazy because they generally resist change, regardless of whether it's good or bad"
But I think many designers often miss an important part here: never change an interface if you haven't to (and don't change more than absolutely required). Changes are always costs and people avoid costs! The GUI is as well an interface, even more it's a very special one cuz it's IT-human and connects two different "systems". So one has to recognize two things: don't change without need and respect both end of this interface for its own! Costs for humans are time to adjust. And nobody likes this if there is no need (advantage perceptible). Microsoft changed the GUI much more than needed (they always do for new releases) - first fail. And imho they didn't respect at least the human side - also fail. b) the producer of windows (and after him many other people involved at MS) at that time explicitly said this was the reason for removing the start menu. It is linked in my Name. A low-end Point-n-Click but I feel like spamming too much here. wow, looks amazing. I'll check it out. It looks amazing, but the puzzles are weak, the story ends with a cliffhanger and the controls are -hm- "complex". IMO the game is overrated - but that's my opinion. There are pirated versions? I thought this game is a free for download. On your homepage. This is something I didn't do, but wish I had done. My kiwi accent would have sounded weird to nearly every listener! I can't stand achievements that are doing some mindless activity an obscene number of times. Good achievements add to a game, bad ones detract. Achievement should be enjoyable, not something that would tempt me to mute the game for an hour + while i watch a movie on another monitor and systemically click on name after name. Too many achievements like this has caused me to skip playing games entirely in the past. Yeah playing through thimble weed park and heard a message to call an actual # for the secret to monkey island I was really curious and called it. It was the NSA! I tell ya that woman who answered the phone had a stern sound to her voice I was not about to ask for the secret to monkey island that's for sure!